Easy to make with smokey, slow roasted flavor, this Slow Cooker Pulled Pork recipe is simply the best there is. 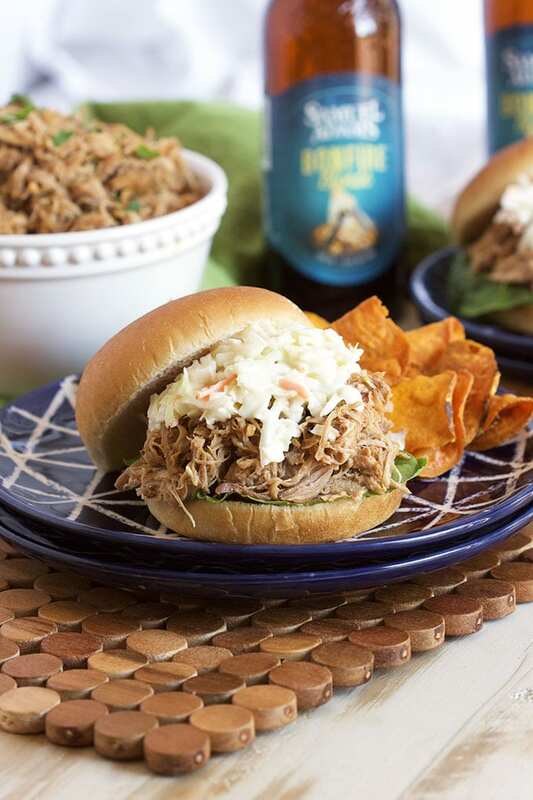 Perfect for feeding a crowd or freeze in batches for easy weeknight dinners, this simple pulled pork will be a staple when planning any menu. Can you believe January is almost over? It always amazes me how quickly time flies by when the end of the month comes around. It makes me realize how much of a procrastinator I really am…..and apparently, this month that’s been my strength. I’ve actually excelled at it this month and if that was my goal for the year it would be totally awesome, but it’s not. In fact, I vowed that I would procrastinate less and….well, I’m not. But it is only January, and it’s cold and dark and dreary and….well, not so much fun. 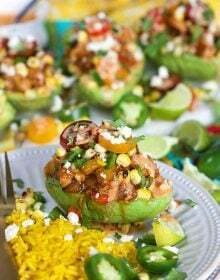 And now, the BIG GAME is just around the corner and all the amazing recipes I had planned to share are piling up. 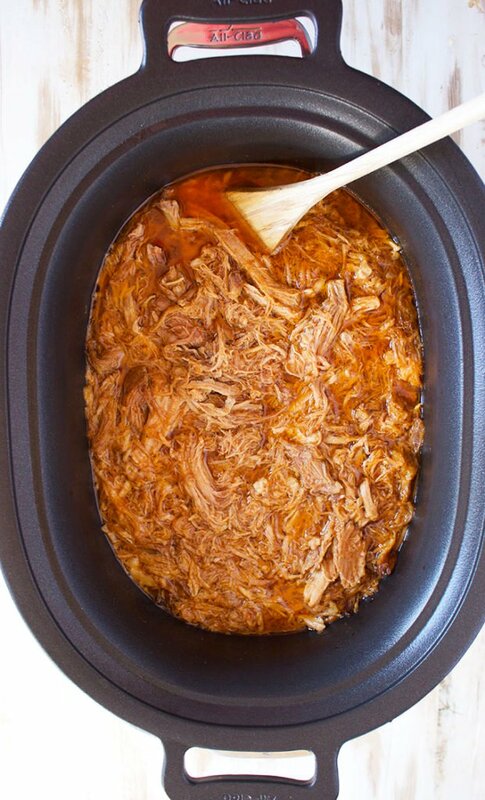 So, you’re about to get smothered with tons of game day foods like the very BEST Slow Cooker Pulled Pork Recipe. 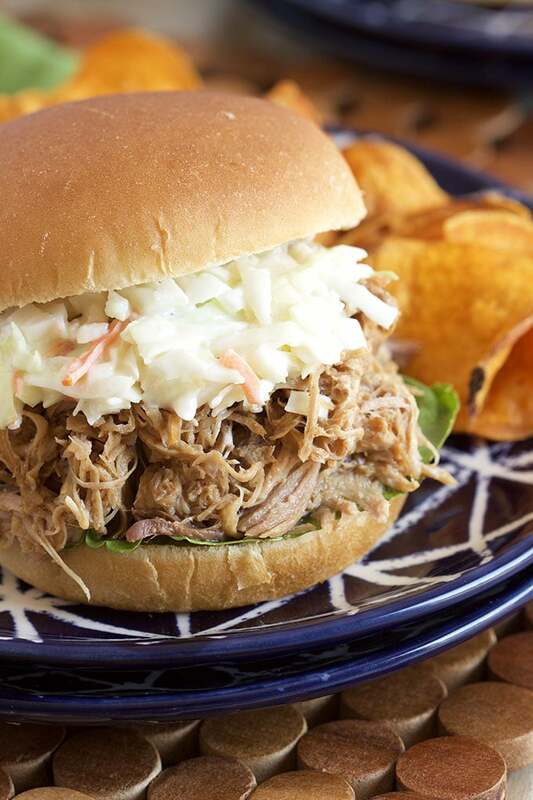 I’m sure everyone has a great pulled pork recipe but this one…..this one is the very BEST there is. 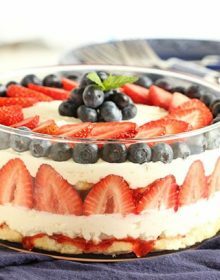 And I don’t say that lightly….in fact, I’ve been working on this recipe for years. Like 20 years to be exact and now, this is it….this is the one I go to every single time. 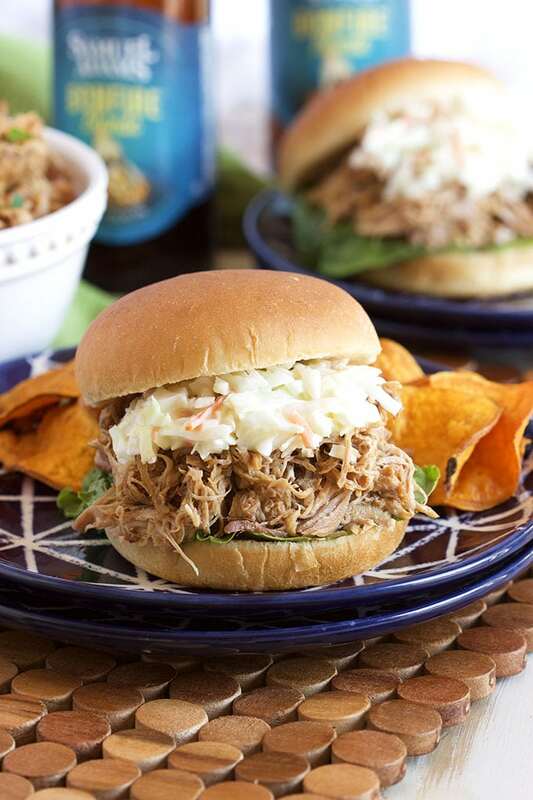 The Very Best Slow Cooker Pulled Pork recipe couldn’t be simpler to make, either….just rub your pork shoulder (bone in for more flavor!) with a few spices, pop that puppy in the slow cooker and add your liquids. Lid up and cook for 8 hours on low. When the meat easily falls off the bone (and it will), shred it up with two forks. 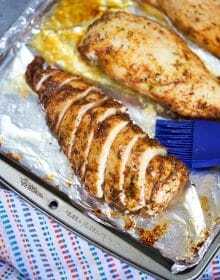 You can serve immediately with some slaw, a bit of barbecue sauce or all by it’s lonesome OR you can batch it up and freeze it for easy weeknight dinners. 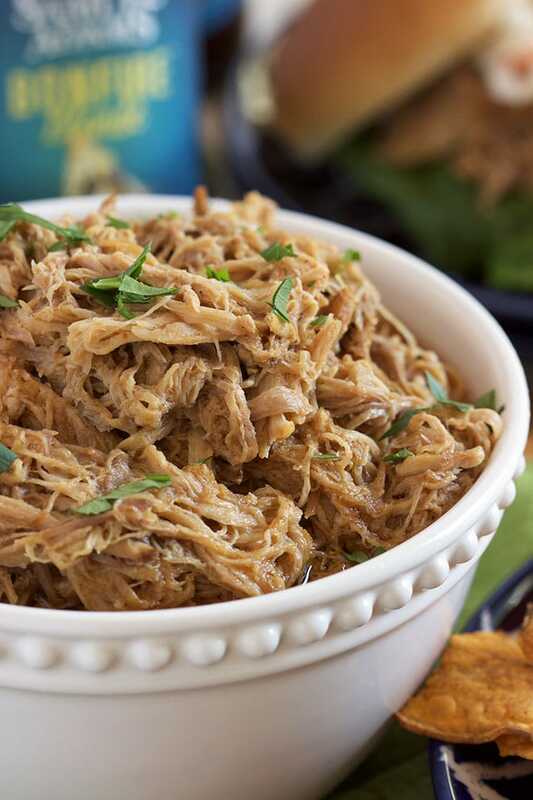 This Slow Cooker Pulled Pork recipe is a lot like this Kalua Pork but with so much more flavor. And if you’re looking for something a bit different but equally amazing, try this Apple Butter Pulled Pork, it has a sweet sauce that would be fantastic on a shoe! 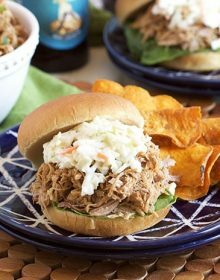 Easy and flavorful Slow Cooker Pulled Pork is so fabulously simple to make and great for feeding a crowd. 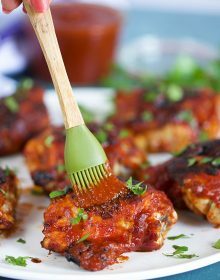 In a small bowl, whisk together the brown sugar, paprika, chili powder, cumin, cayenne pepper, garlic powder, onion powder, black pepper and salt to combine. Set aside. 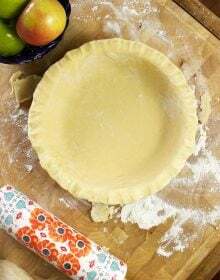 In a medium bowl, whisk together the beef stock, cider vinegar, liquid smoke, tomato paste and honey. Set aside. Rub the spice mixture over the entire surface of the pork and place in the slow cooker, fat side up. Pour the stock mixture into the slow cooker. Place the lid on the slow cooker and cook on low for 4 hours. Turn the pork over and cook for an additional 3 hours on low. Using two forks, carefully shred the pork and remove the bone from the slow cooker. Continue cooking for 1 hour on low. Pork can be stored in an airtight container and refrigerated for up to 3 days. Pork can also be frozen in an airtight container for up to 3 months.